When it happens, it’s magical. And it gets you a TON of traffic. I’m talking about getting your blog post a #1 ranking on Google. And you want to know how it’s done. So let’s not beat around the bush. Here’s how to get your blog post a #1 ranking on Google. Search engines are so competitive that targeting a broad topic won’t get you the top spot. It’s taken already. I want to write a blog post about “on-page SEO”. Because I know my audience will love it. Not wrong in my assumption that it would be an awesome keyword to own. But wrong in the sense that I could own it in the first place. With these indicators in mind, we can assume that ranking for “on-page SEO” is going to be nearly impossible. But we’re not done here. 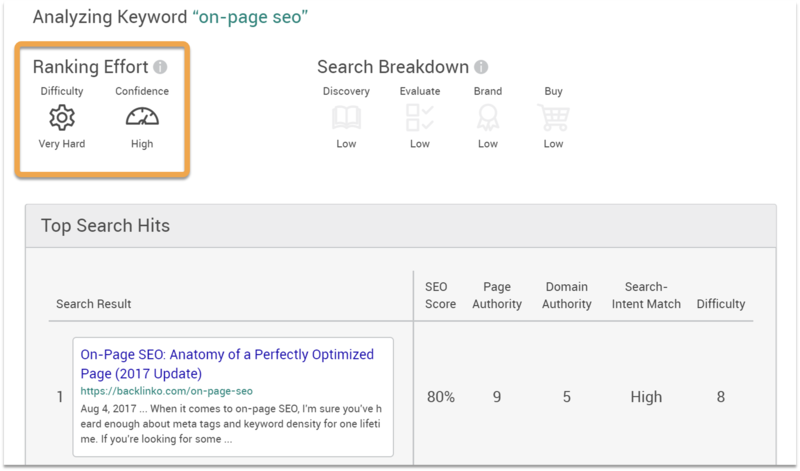 You can still rank for “on-page SEO”. You just need to get creative. This is where you can tap into the concept of highly tailored content. To do this, think of what specific niche you serve. Is it eCommerce sites? Digital Marketing Agencies? SaaS products? Because while ranking for “on-page SEO” is super valuable, it’s also broad. So, to fight back and rank high, qualify this primary keyword target. Let’s focus on one of the niche’s we mentioned. So you can see, even if we only compare Outrank Difficulty, that qualifying a broad topic makes ranking in top positions tangible. But it’s more attainable vs targeting a broad topic. If you want to see this technique in action, then watch this Blog SEO video. In it, I break down a step-by-step technique for ranking in top position in under five minutes. This post is all about ranking your blog post #1 in Google. But the secret to success is to target keyword topics within your weight class. Because if your swinging for the fences on mega competitive keyword topics, you’re not going to succeed. Simple as that. 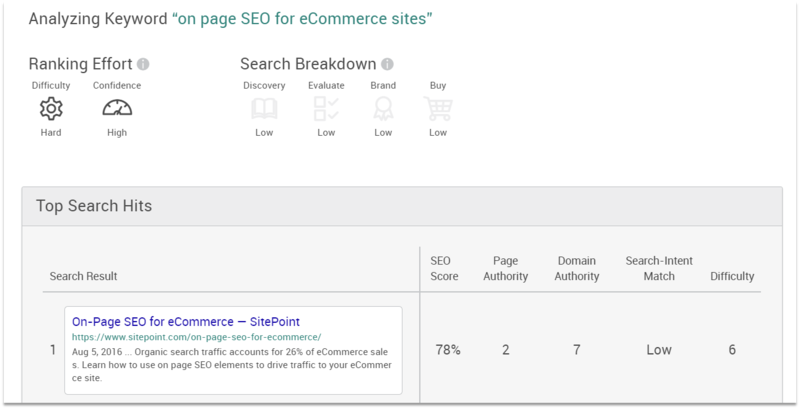 But if you get strategic, and target popular keyword topics with a qualifier, you can rank in top positions. Not to mention generate highly qualified traffic.